Have a friends that works in architectural agencies which is have specialized in preservation old building, were so helpful for me in order to complete my articles about the history mainly in related with Semarang. Its my friend named Yohanes Khrisna H P, that asked me about "who is actually Thio Thiam Tjong? How come this man afford to hired Thomas Kaarsten, the famous architect at that time in order to design His house?". I was so long time ago known this house but just now, by the info from Mas Khrisna actually, know that this house once belongs to Tho Thiam Tjong, and its designed by Kaarsten. Then I found who is Thio Thiam Tjong as its written in "Prominent Indonesian Chinese: Biographical Sketches" by Leo Suryadinata. Thio Thiam Tjong was born on April 4th 1896 form the wealthy peranakan (native-chinese) family. His father was the owner of the export-import firm in Semarang, Thio Siong Liong Maatschappij, which Thio Thiam Tjong inherited and expanded after his father had retired. Thio was Dutch-educated, first in Semarang and later in Delft Technical College, Netherlands. Before graduating, he returned to Java, presumably to take over His fathers business, He became very active in the local chinese community named Chung Hwa Hui (CHH). 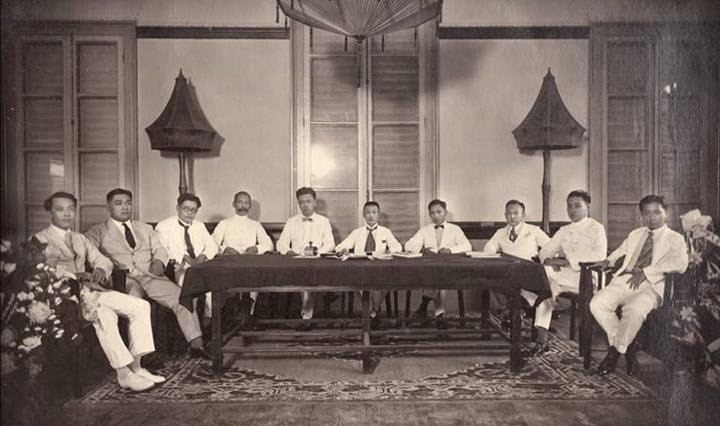 Founded in 1928 CHH is a political organization that carried the ethnic Chinese Nationalism oriented to Dutch East Indies authorities, this was contrary to Tiong Hoa Hwe Kwan (THHK). This movement is getting support from so many peranakan intellectuals. CHH take a cooperation sides against the Colonial authorities and actively participate in local political institutions included in the Volksraad (People's Council). Here, Thio was elected to its central board, where after that elected as President of the Semarang branch in the 1930s and served as the Provincial Council of Central Java. 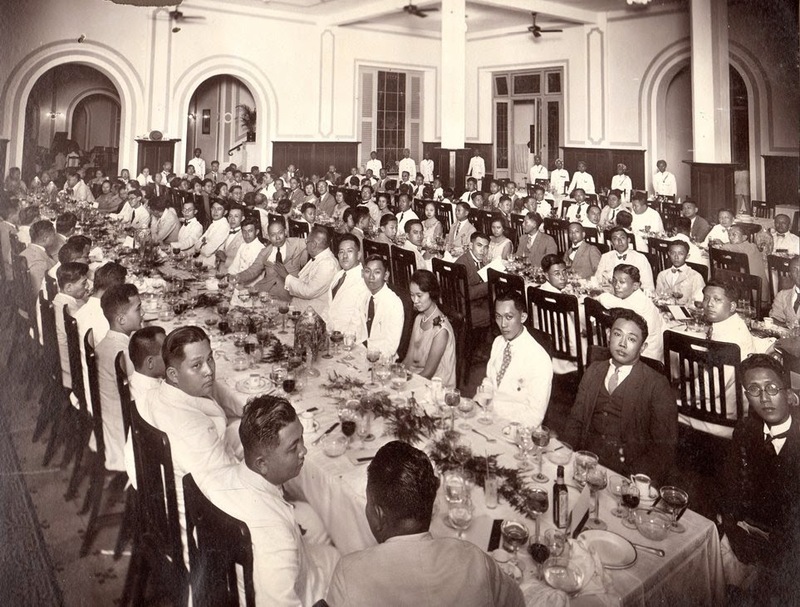 at Hotel Du Pavillion (now Hotel Dibya Puri), 1927. Beside His political carrier, Thio Thiam Tjong also concerned with social and educational affairs of the Chinese community. 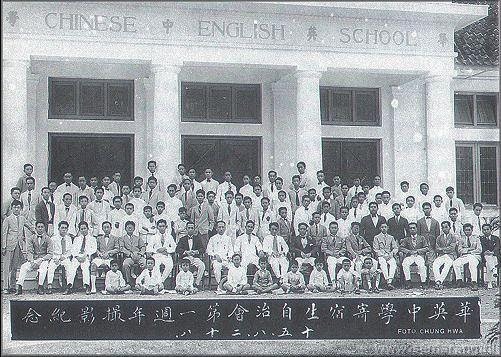 In 1928, He became the chairman of the Chinese-English School (Now used as SMA Negeri 5 Semarang). Following the Japanese occupation of Manchuria, He inisiated the Jiogou Houyuan Hui (Save the country from the back line) movement and later the China Charity Fund (Semarang Branch) in order to support the resistance against Japanese in Manchuria. It was reported that for every donation drive His Thio Siong Liong Maatschappij was alway the largest donor. Before the Japanese invasion of Java, the Colonial Government organized a local defence force in which He was appointed as the Chief Commander. Thus, following the fall of Java into Japanese force, Thio was detained in Interneringskamp (eng: consentration camp) from 1942 until 1945. Pemuda) Semarang. Thio became the Chairman of this school on 1928. When the Revolution for Independence broke up. Thio was invited by Governor-General Van Mook to became His personal adviser, considering Thio's popularity among the Indonesian chinese. In 1948, Thio established Persatuan Tionghoa (PT) with the aim of organizing Indonesian Chinese readiness for the changing situation. Nevertheless, the complete withdrawal of the Dutch forces and the coming power of indigenous Indonesians diminished Thio's influence. His past record as van Mook's adviser made Him labeld as anti-nationalist movement. Thio's PDTI (the new name of the PT after 1950) was declining and replaced by Baperki. Thio later concerned in His busines and education activity. In 1957, he together with another Chinese-Indonesian, formed a committee to established the Tarumanegara University. Thio Died in Netherlands on December 22nd 1969. 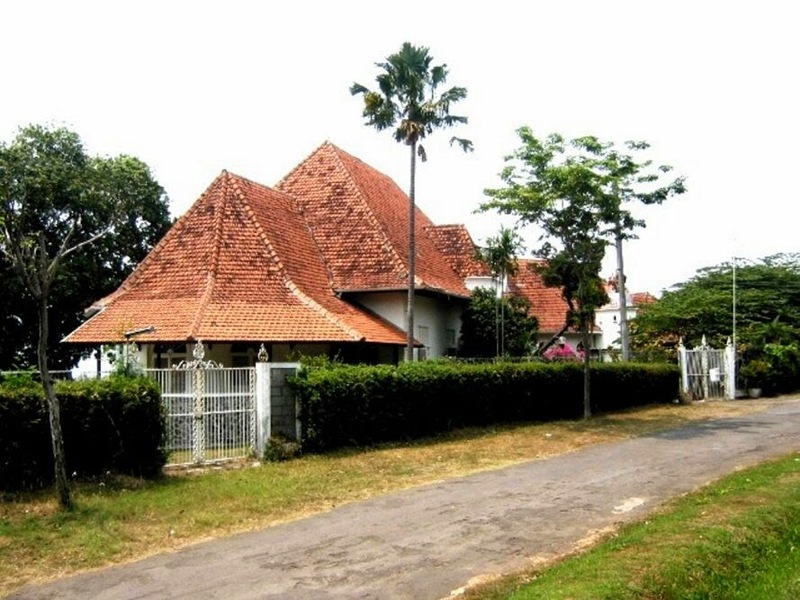 His House in Semarang once used as Singapore International School (SIS) before its moved to another place in Semarang. Now its remained empty, and wished this antique indisch house, still preserved for a long time.